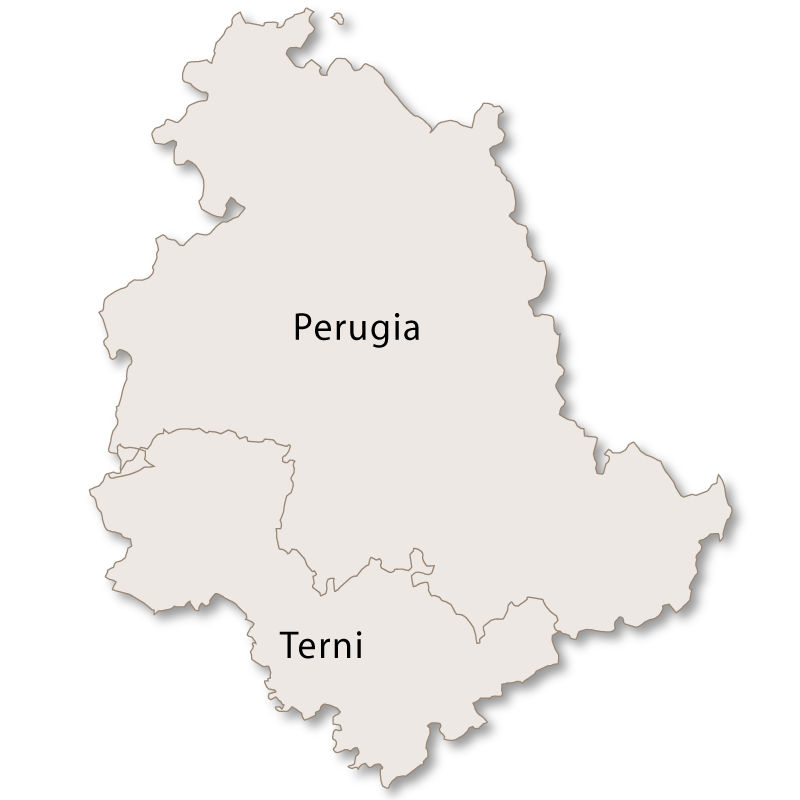 Umbria is divided into two provinces, Perugia and Terni. 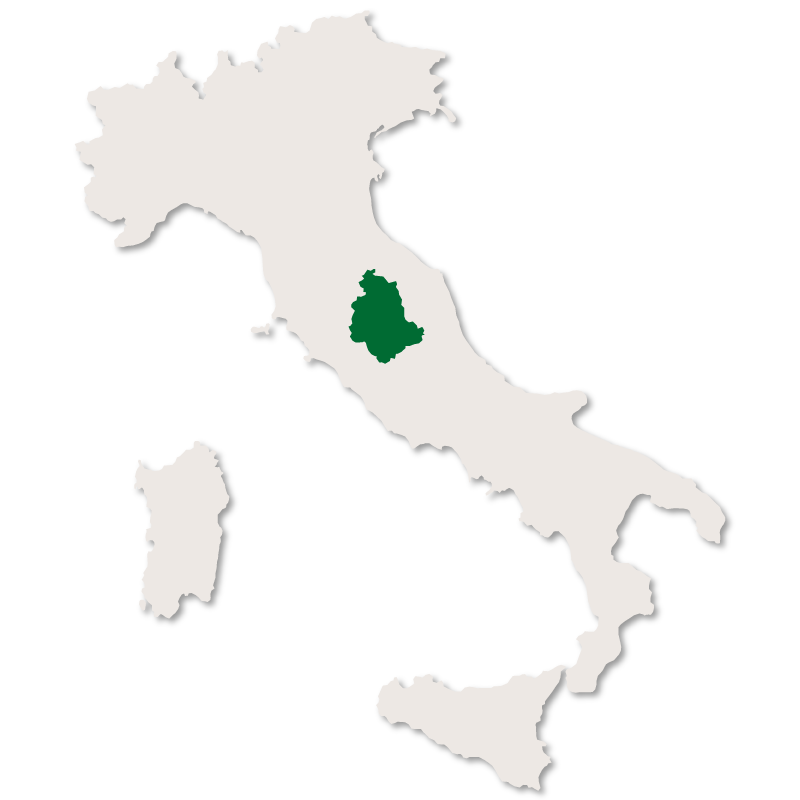 Perugia is bordered by the other province of Umbria, Terni to the east, Marche to the west and Tuscany to the north. 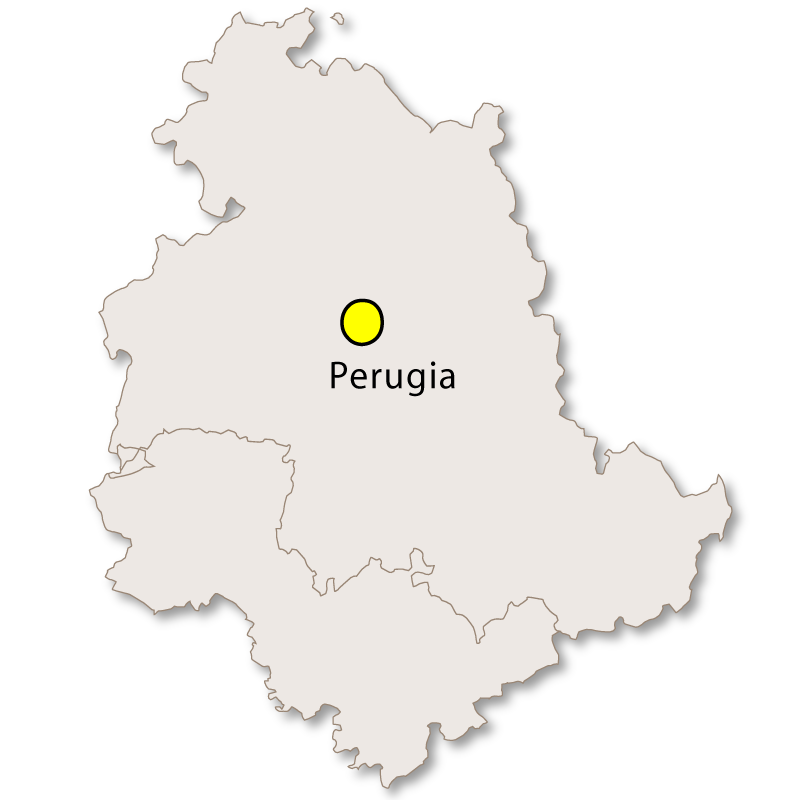 Covering two thirds of the total area of Umbria, the province of Perugia is by far the larger of the two provinces of the region. 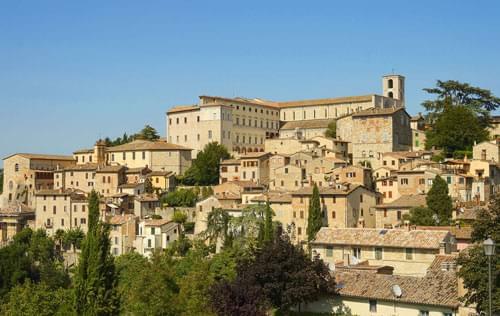 It is also home to the regional capital, the city of Perugia, and is much more densely populated than Terni. The eastern section of the province of Perugia has gently rolling hills whilst most of the rest of the region lies along the valley of the River Tiber and its tributaries. This basin consists of wide, undulating plains. with the remaining area being heavily forested. The landscape is picturesque with vivid greens, rolling hills and pretty hilltop villages dotting the horizon. Ths province is also very well known for its medieval palaces, castles and fortresses. It is a little known fact that the province of Perugia in Umbria contains one of the most spectacular natural lakes in Italy. Lake Trasimeno is the largest lake in central Italy and with a surface area of sq.km it is only slightly smaller than the more famous Lake Como in northern Italy. 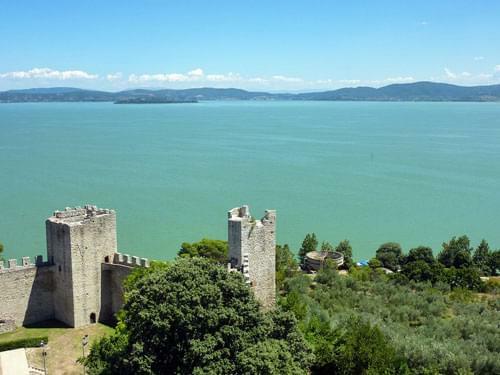 Although large, Lake Trasimeno is shallow with an average depth of five metres and is fed by two natural streams which constantly flow into it while nothing flows out. It's depth is therefore subject to seasonal weather conditions with the levels being much lower during the hot summer months. Lake Trasimeno may be shallow and muddy but it is teaming with fish such as carp, pike and tench. Within the confines of the lake there are three islands, Polvese, Maggiore and Minore. Polvese is the largest of the three covering an area of just under 1sq.km. and consists of plains and hills. Once inhabited it was destroyed by the Florentines during the 17th century and never fully recovered. By the 19th century only one caretaker remained on the island and now there no one lives there and there is no trace of the houses and buildings which once covered the island. Maggiore is the second largest and is the only one which remains inhabited. The island is a small hill and has a tiny fishing village with around thirty residents. The well preserved ruins of the castle, church and monastery still remain on the island even though they have been abandoned since the 17th century. Minore, the smallest island, is shaped like a sloping table and is covered in vegetation. There is nothing there except a very small anchorage. 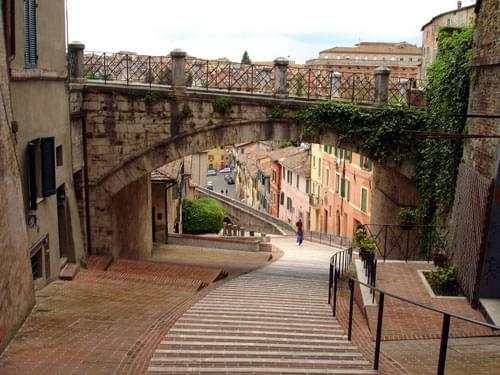 Perugia is the capital city of the province and of the whole region of Umbria. The city is ideally placed in central Italy and easily accessible from Rome (164km north) and Florence (148km south east). The city is spread over a hilltop and parts of the surrounding valleys and is crossed by the river Tiber. It is a university town with two universities, the University of Perugia founded in 1308 and the University for Foreigners. 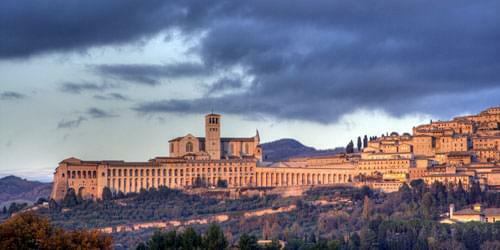 Perugia is a large, lively and cultural city with many historical buildings, interesting streets and famous festivals. The most famous festival of all is the chocolate festival which is held in October every year. Perugia is famous for chocolate as the Perugina chocolate company, well known worldwide for the chocolate kisses 'Baci' is based here. The other large and well known festival held annually in Perugia is the Umbria Jazz Festival. Since 1973 it has been held in the city every July and it is one of the most important jazz festivals in the world. Palazzo dei Priori - this is classed as one of Italy's greatest buildings. Fontana Maggiore - a large, medieval fountain designed by Fra Bevignate. Rocca Paolina - a Renaissance fortress constructed between 1540 and 1543. Orto Botanico dell'Università di Perugia - Botanical Gardens, run and cared for by the University of Perugia. Ipogeo dei Volumni - Estruscan tomb. Pozzo Estrusco - Estruscan well. Porta Augusta - .Estrucan Arch. Church and abbey of San Pietro - late 16th century. Sant' Ercolano Church - 14th century wwith Baroque decorations. Church of Santa Giuliana - now a military hospital it contains excellent examples of Cistercian architecure. Chapel of San Severo - contains a frescoe painted by Raphael and Perugino. The Templar church of San Bevignate. Church of Sant'Antonio da Padova. Assisi is located on the western side of Monte Subasio and has a striking profile, dominated by the Basilica of Saint Francis, which is a UNESCO World Heritage Site. Although the area was inhabited around 1,000 BC, the Romans captured the area in the Battle of Sentinum in 295BC and they built the city of Asisium on a series of terraces on Monte Subasio. The city is still located within its original Roman walls and the well-preserved remains of a Roman villa was discovered in 1997. Built on the flood plain of the river Topino Bevagna is a flat, walled medieval town. The original walls were made with unbaked bricks but nothing remains of them now. The walls surrounding the town now are made of medieval stone and are very similar to Roman walls. There are remains of a temple, a theatre, several mosaics and three castles. This town was once an island (the fourth on Lake Trasimeno) but as the town grew the small, shallow waterway between it and the mainland was gradually infilled and covered in buildings. 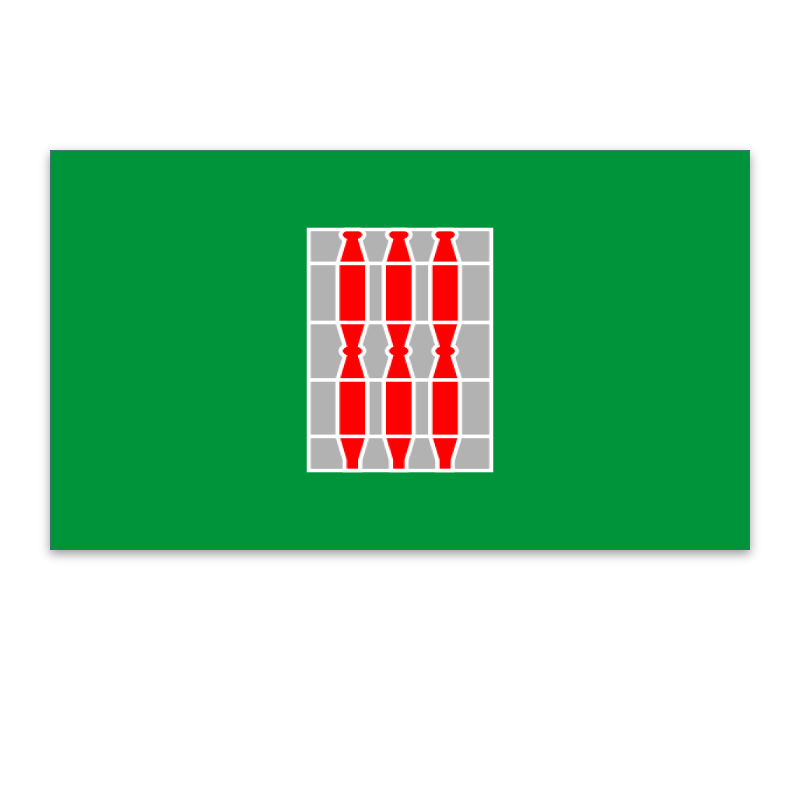 There is a 13th castle, Castello del Leone which is a pentagonal shape with square towers in four of its corners and a triangular bastion in the fifth. The Renaissance style Town Hall (Palazzo del Comune) is now a musuem and art gallery and is connected to the castle by means of a long, covered corridor. 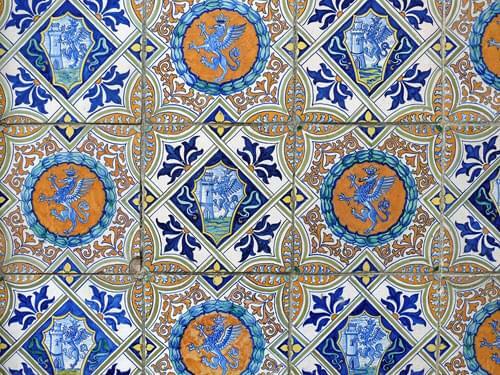 This small hill town is famous for its maiolica ceramics which date back to the Renaissance but are still prouced and exported today. 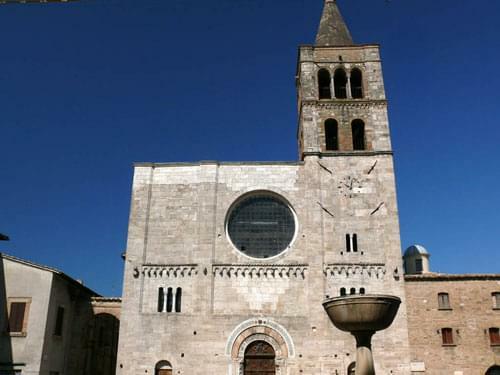 Within the town, set around the main square, Piazza dei Consoli, there is a Gothic church (1388), a town hall (1300) and a Museum of Ceramics. This is a very ancient town which was known to have been occupied as far back as the Bronze Age. It was made famous because of the discovery of a set of bronze tablets known as the Eugubine Tablets and together they make up the largest surviving text in the ancient Umbrian language. The medieval feeling historical town centre is made from dark grey stone and has very narrow streets giving it a rather sombre atmosphere. The Roman Theatre - built in the 1st century BC. Palazzo dei Consoli - early 14th century palace which is now a museum housing the Eugubine Tablets. Duomo - late 12th century cathedral with a striking rose window. Palazzo Ducale - palace built in 1470 which is famous for its inner court. Santa Maria Nuova - 13th century Cistercian chapel. This town was named after a pilgrim house (magione) which was built and occupied by the Knights Templar in the middle ages. In the 14th century it was taken over by the Knights Hospitaller who turned it into an abbey and then fortified it. 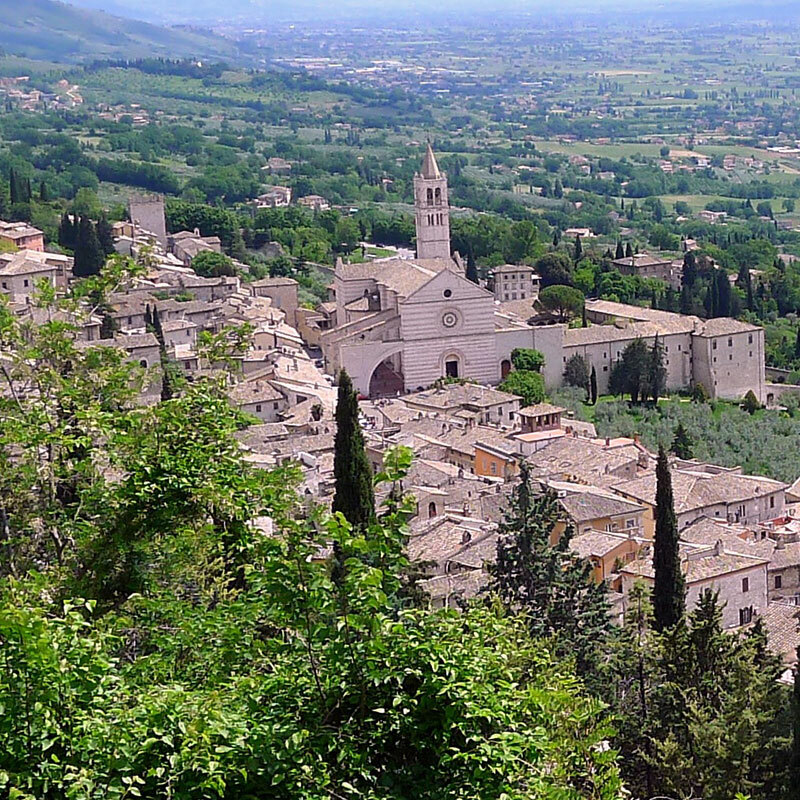 The small town of Monteleone di Spoleto is 978 metres above sea level set on a mountain road between Norcia and Cascia making it one of the most remote towns in Umbria. A 6th century BC Estruscan chariot was found there giving the town fame and wealth for a short time. The chariot is now in a museum in New York. Unlike most ancient Italian towns, Norcia is not set on a hilltop but instead rests along a large, flat plain at the foot of the Sibillini mountains. 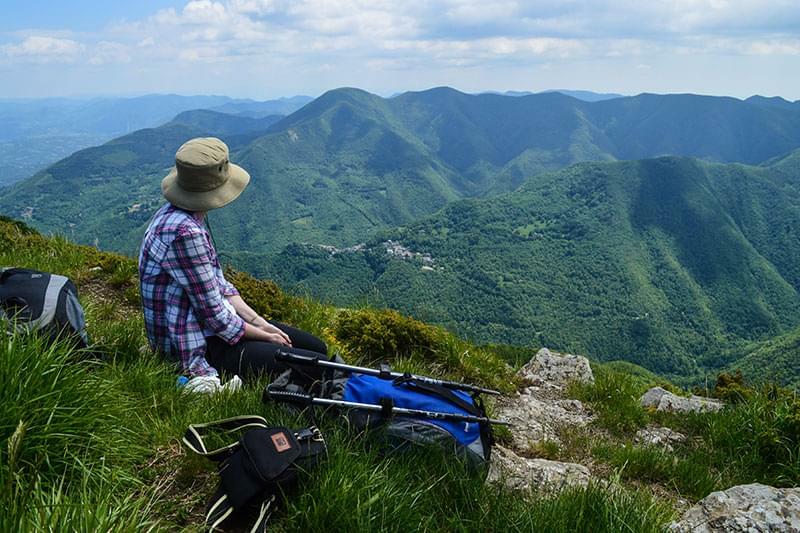 The whole town and surrounding area has become well known for its breathtaking scenery and clean, fresh air making it an established base for mountaineering and trekking. The historical centre is still contained by the original 14th century walls which have survived several devastating earthquakes. Within the walls there are several intersting churches and a fortress (Castellina) which was once the residence for Papal governors. The town has the added advantage of being completely flat making walking around its pretty streets very easy. The heavily populated medieval town of Spello is still enclosed by the original walls which incorporate three Roman gates, Porta Consolare, Porta di Venere and the Arch of Augustus. 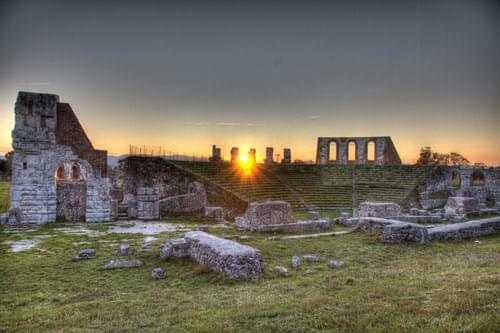 Within the walls there are the remains of an amphitheater and medieval gates and over twenty small medieval churches. 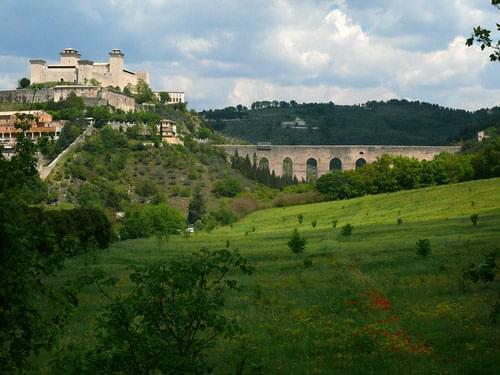 Spoleto was once an important town due to its strategic position on the Via Flaminia. Today it is a pretty and interesting town to visit with a pleasant centre and an interesting array of sites. Roman theatre - has been sympatheically reconstructed. Ponte Sanguinario (Bloody Bridge) - a 1st century BC Roman bridge which got its name due to the continual persecution of christians in the neighbouring amphiteatre. Roman amphiteatre - built in the 2nd century it was later turned into a fortress. Ponte delle Torri - 13th century aqueduct. Rocca Albornozian fortress - late 13th century with 15th century frescoes. It was turned into a prison in 1800 until it eventually became a museum in 2007. Torre dell'Olio - set in the grounds of the Palazzo Vigili it is the only medieval tower left standing in Spoleto. Most of the most important buildings in this historical town front onto the large main square, Piazza del Popolo, making a spectucular backdrop and resulting in the town being used many times as a film set. There are three palaces, Palazzo del Capitano, Palazzo dei Priori and Palazzo Vescovile. The Cathedral - built in the 11th century over an ancient Roman construction believed to have been a temple dedicated to Apollo. Santa Maria delle Consolazione - an early 16th century domed church built just outside the walls. Torgiano became famous for being the first winemaking area in Umbria and it's wine, Vino Torgiano, now has the DOCG certificate. Also famous for olive oil production the town has a wine museum (Museo del vino ) and an olive oil museum (Museo dell'olivo e dell'olio), both of which make an interesting visit. The town is still partially surrounded by the original medieval walls with the 13th century defence tower, Torre di Guardia, still intact on the outside of the walls. As well as grapes for wine and olives for oil, the other main agricultural products from the province of Perugia are silk and corn.